This is a great Acne treatment for sensitive skin. Some people have seen great results from using salicylic acid products, the problem is some of these products have high content of acid (2%) and since they have sensitive skin they get really bad dry and red puffy skin. This is where the Stridex Sensitive Pads come in! with 0.5% salicylic and Aloe Vera it fights Acne while not mistreating your sensitive skin. If your read from the Acne page you will know that salicylic acid is a great medication for Acne, but the higher the content the higher the chances of dry and red skin. This product while having less salicylic acid is still very effective in fighting Acne, exfoliating the pores, unclogging them and removing dirt and oil. The main focus being sensitive skin does not mean people without sensitive skin shouldn’t use it, the Aloe Vera and vitamins makes this product a tempting option for those concerned about putting strong chemicals on their skin. Stridex is a trusted brand with great products, this particular product was especially designed for people with sensitive skin, of course if you want the more powerful option you can read about it here. 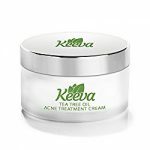 The pads are great for a quick and easy clean up of your face, salicylic acid is an excellent medication to exfoliate your skin even at low doses and the fact that this product also has Aloe Vera and other vitamins make it a very soothing cleanser. Okay, while some people might use this to remove make up and other acne treatments, I still recommend a full face wash before applying it. 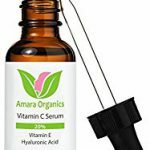 This might be a great first step before getting the stronger salicylic acid products, I’ve seen many cases where people start with high doses of treatments and end up getting extremely dry and red puffy faces. When applying the pads don’t be rough, they are design to exfoliate your skin, the pads are textured so they will get the entire surface of your skin easily. Even with these pads being so mild I always suggest applying the moisturizer recommended in the Red/Dry skin page. You can also use these pads as a supplement to your acne treatment, by using these during the day and having a Benzoyl Peroxide wash.
Like with any new Acne product, always try them for at least one month and check for results before moving on. 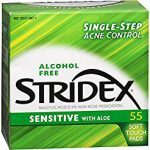 Click on the Stridex Medicated Pads, they are for sensitive skin and a great option for those with well… sensitive skin. They’re great for those who want to get rid of their Acne without putting too much irritation on the skin. Just as effective as the regular ones with vitamins and Aloe Vera you can’t go wrong with these. If you have any questions or comments don’t hesitate to write and I hope this helps you on your path to Beautiful Clear Skin. Been looking for something like this, it seems the 2% is really drying my sensitive skin, will try this instead, again thanks for the tip. Hey Miguel, yes, Salicylic acid can dry your skin, if it is too much to handle, but you are liking Salicylic acid, this is the product to go with, good luck, thanks for reading.